The Council for Learning Outside the Classroom (CLOtC) has revealed details for its 2016/17 academic year training programme for teachers looking to take learning outside the classroom. The CLOtC training programme is designed to help teachers take steps to ensure the young people they work with have access to high quality learning outside the classroom (LOtC) experiences. 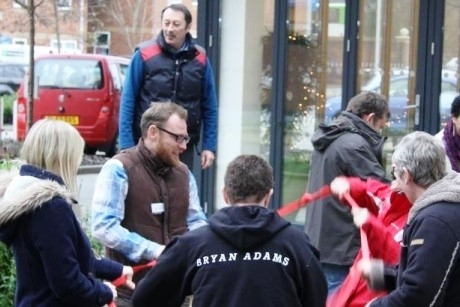 The training programme offers a variety of different courses that range in topic from focusing on small groups to finding inspiring LOtC venues. Taking Learning Outside: Delivered in partnership with Learning through Landscapes, Taking Learning Outside is a great option for teachers, early years practitioners and support staff who are new to taking learning outside. Participants will take away lots of practical activities for teaching Literacy, Numeracy and Science in the school grounds and local community. Meaningful Learning: Teaching the Curriculum outside the Classroom: This session will help organisers gain the skills to help their school maximise the benefits of LOtC and deliver curriculum-linked outcomes outside the classroom. Discover the research into the benefits of LOtC and plan curriculum-linked LOtC lessons to take away and use with pupils and team members. Policies and Practice: Making the most of the opportunities beyond the classroom: This course is for those who want to embed LOtC in their school’s policies and practice, so that all pupils can benefit from inspiring learning opportunities. Using LOtC Mark as a framework for development, teachers will consider how to engage staff and the community through LOtC, monitor and evaluate LOtC effectively, manage risk and develop robust systems and policies. Developing and Reviewing Active Learning Outside the Classroom for schools: This course will help participants to further improve their LOtC provision by considering how to implement outcome-focused learning outside the classroom. This will build on the learning which takes place already, integrate it more with classroom-based learning, and improve outcomes for young people. Teachers can visit www.lotc.org.uk to book any of these courses, plus others.